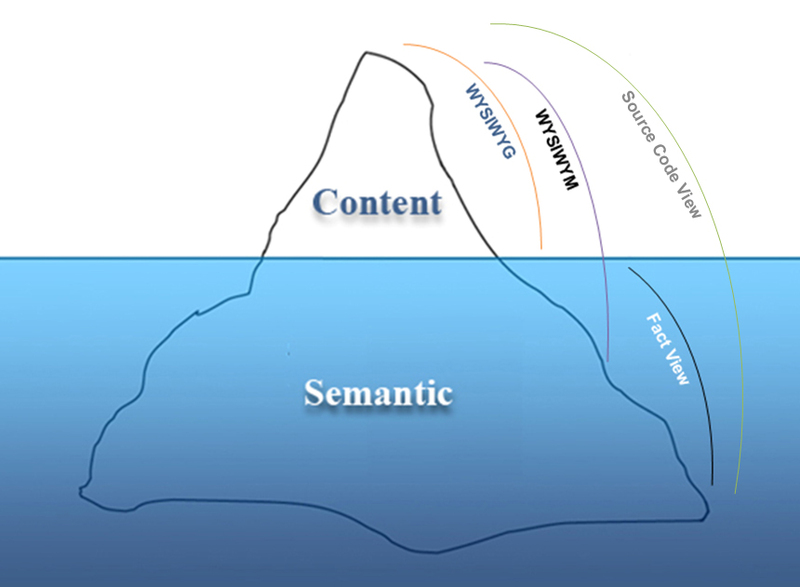 When it comes to semantic content authoring the main question is how to facilitate this process by removing the gap between content creation and content annotation. There are a lot of tools available for embedding semantic annotations within the Web content but one of the main obstacles seen in promoting semantic content is the lack of intuitive and user-friendly semantic authoring tools. RDFaCE (RDFa Content Editor ) is an online text editor based on TinyMCE. It supports authoring of RDFa content. In addition to two classical views for text authoring (WYSIWYG and Source Code view) , RDFaCE supports two novel views for semantic content authoring namely WYSIWYM (What You See Is What You Mean) and Triple view (aka. Fact View). WYSIWYM view aims at displaying semantic annotaions on top of classical WYSIWYG view which is ubiqutous among people on the Web. It uses dynamic CSS stylesheets to distinguish semantic content from normal content. Triple view is another semantic view which only shows the facts (triples) stated in the text. RDFaCE provides a syncronizatiion between these four views so that changing in one view causes to change in the other views. Another feature supported in RDFaCE which empowers it in comparing to existing semantic editors is combining the results of multiple NLP APIs to facilitate semantic authoring process. This feature provides an initial set of annotations for users that can be modified and extended by them. a demo version of RDFaCE is available at http://rdface.aksw.org. For more informatiion you can visit here. I really like the idea of this plugin.